It’s been a while since my last Chadsworth’s Travels photos, there are a few more on the way – promise. On our November 2009 Road Trip to Sydney and Canberra he managed to escape the car while we were at Canberra’s Black Mountain Tower [^]. 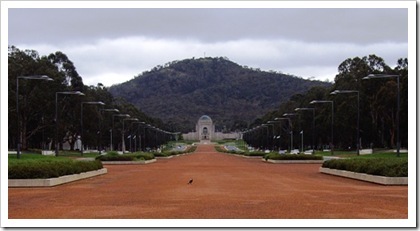 To mark Remembrance Day we have a post about the Australian War Memorial [^] in Canberra. 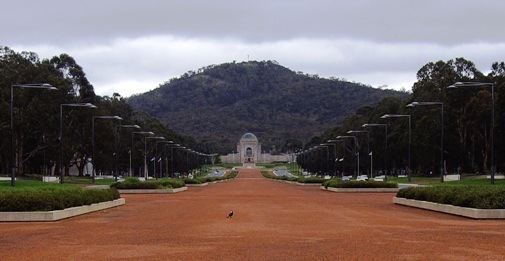 The Memorial is a commemoration of the Australians who have died while at war and like the Auckland War Memorial Museum [^], is both a memorial and a museum. The AWM is dedicated to helping us understand the impact of war on Australian society, and to remember those who made the ultimate sacrifice for their country. 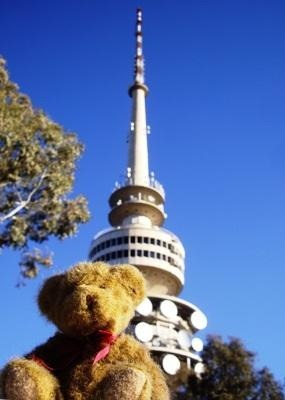 This is one of the places that was on our must-do list for Canberra. I would recommend one of the guided tours if you are on a tight timetable – it ensures that you get a another view of the Memorial. Paul, our guide for about two hours was fantastic, and spent the time emphasising the very real personal cost borne by our soldiers and their families in past conflicts and today. It is important for us to remember that the people in the armed forces serve their country. Regardless of our own thoughts about our nation’s military involvement, we need to remember that the service personnel are there doing the bidding of the government that we elected; their duty. Today is a time for Remembrance. A time to honour the sacrifices that have been made in the name of our country. The sacrifices made by the dead and the survivors, and the cost to their families.